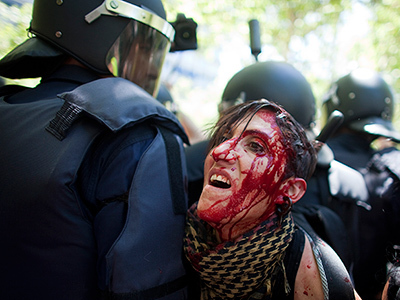 Hundreds of protesters have clashed with riot police in Madrid over the new set of austerity measures. One person suffered a broken nose and three people were arrested. 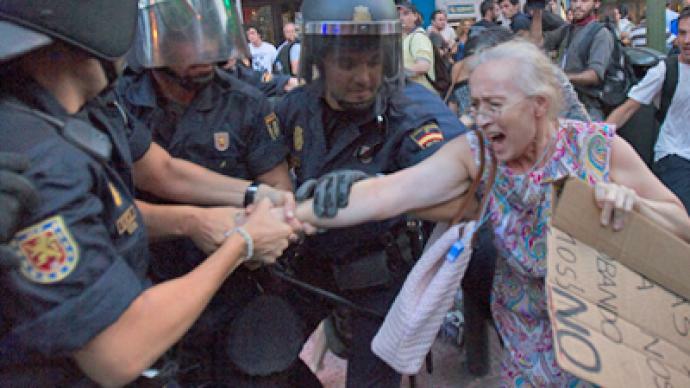 ­The protesters demonstrated on Friday evening outside the People's Party offices of Spanish Prime Minister Mariano Rajoy before clashing with riot police, AP reports. Police used batons to prevent the crowds from getting too close to the Socialist Workers’ Party headquarters. 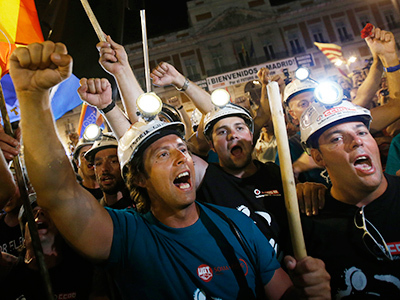 The austerity measures of the conservative government of Spain have raised fierce criticism from the working middle class that has been hit the most by the financial cuts. The administration has been subject to great international pressure over the state of country’s financial system and economy with its record 25 per cent unemployment rate. The newly-proposed austerity measures include additional sales taxes and a gradual raise of the retirement age from 65 to 67 years. 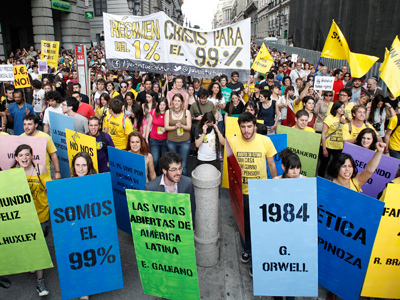 The protesters insist such measures would decrease consumption, which would in turn aggravate the recession of the Spanish economy. This new round of protests comes only two days after the previous unrest, when at least 76 people were injured in clashes, many by rubber bullets used by police. The injured included 33 police officers and 43 protesters – mostly miners and their supporters. 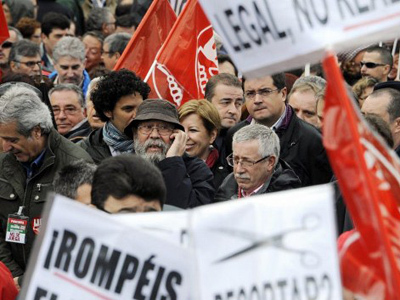 The aim of the set of measures is to cut €65 billion off the budget deficit through 2015 – the largest deficit-reduction plan in Spain’s recent history. The government is now axing an extra payment traditionally made to civil servants just before Christmas. The government and lawmakers will also suffer the cut.